At the moment, it appears that Democrats need the votes of pro-life Americans more than the pro-life movement needs the Democratic Party, but that could change, and you hope it does if you’re concerned to keep the ship of state from foundering on the rocks of one-party rule. The default reaction that pro-lifers have to Democrats is to try to defeat them. Let’s try harder to change their minds instead. I don’t mean convert them to the conviction that the sanctity of human life from the moment of conception should be recognized in law. That would be nice, but do you think it likely? I mean show them the political as well as moral wisdom of softening their abortion philosophy, which is brittle, a skeleton without warmth, lifeless and ineffectual without its complement of flesh and blood. Conversations between pro-life advocates and Democratic Party officials tend to be earnest but frozen, locked into the binary thinking—“Our right to abort is absolute” versus “Our right not to have been aborted is absolute”—that is the common ground on which activists from both sides of the debate meet to do battle. Most Americans don’t go there. Those who know that the Republican Party is committed in theory to the abolition of abortion notice that in practice it isn’t. In legislative battles, Republicans typically aim to limit abortion, not eliminate it. Eliminate is what Democrats would do—to abortion restrictions, no matter how mild, how sensible, how reasonable to the minds of the non-ideological. Democrats, I mean no offense. I want to help. For your own sake, please curb for a moment your human, understandable, forgivable instinct to go on the defensive as I hold up a mirror and show you what a large slice of the American public sees when you talk about abortion. You look like maximalists, people for whom abortion on demand up to the moment of birth—maybe a few seconds beyond, for good measure—is not only a theory but an objective you fight for in real time: in court, on the floor of the legislature, in front of cameras and microphones. What restrictions on abortion do you favor? Any? 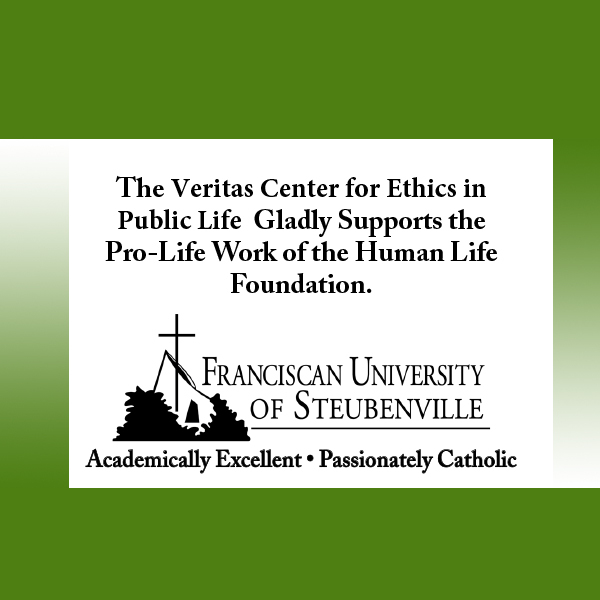 Do you support any measures at all to protect unborn children? Your concern for women of childbearing age is noble. You’ve made it plenty clear. Alas, you’ve made equally clear your contempt for them when they were in their mothers’ wombs. Can you try to distribute your compassion a little more broadly? When Democrats for Life of America met with party leaders in Washington, D.C., in June, the primary discussion topic, as I gather from the report in The Atlantic, was whether the Democratic National Committee would liberalize its catechism to the extent that you could be considered a Democrat in good standing if you called yourself pro-life. Let’s say you could. By itself, how would such a modest concession by the Democratic Party advance the pro-life cause? How would it even help the Democratic Party? Some party leaders make an astute argument for supporting any Democrat who calls herself pro-life in a district where that label is a political asset. She can help the party achieve majority status and the power to set a legislative agenda, which would, alas, exclude bills to expand protections for unborn children. What’s worse, from the perspective of the pro-life legislator and her voters, is that the agenda could include bills to roll back some of the protections that the unborn currently enjoy. It’s a bad deal for the pro-life Democrat. It’s a good deal for the party, or so it appears until you think a few moves beyond the one right in front of you. Voters for whom the pro-life cause is important are more likely than most to understand that the Democratic candidate who campaigns on the promise to restrict abortion is conflicted. They know that her party would thwart her if she tried deliver on that promise once she was in office. She would certainly not win over many single-issue anti-abortion voters who had the option of voting for an equally anti-abortion candidate from the avowedly anti-abortion party. Pro-lifers should seek more than a place in a bigger Democratic tent—they should push the party to be just a little more creative in its response to the abortion issue. The public would sit up and notice if the Democratic Party pledged to reduce the demand for abortion and thereby serve unborn children and their mothers. Abortion-rights activists would protest that the Democratic Party was abandoning their cause, but they’d be wrong. What Democrats would be doing is broadening their base without sacrificing their principles. They would need to retreat not an inch from their commitment to Roe v. Wade. They would only have to take a step toward voters who think less abortion would be better than more and that Democrats could, if they wanted to, outperform Republicans in promoting that end. I’ve made this modest proposal before. It met with the defensive talking point that Democratic policies on social spending already reduce the demand for abortion. That assumption is contested by some social scientists, though not by me. What I’m saying is that Democrats shouldn’t wait to be cornered before they make their argument that they’re pro-life. They should lead with it. 84 people have visited this page. 1 have visited this page today.